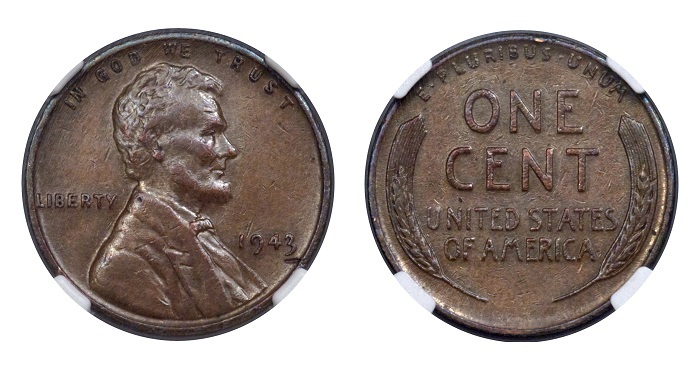 Dallas, Texas (January 14, 2019) — An uncorrected reporting error republished by more than 1,000 media outlets worldwide included an incorrect pre-auction estimate of the 1943 bronze Lincoln cent auctioned January 10, 2019 by Heritage Auctions. SWNS’s number was not in any press materials provided by Heritage to the service. The final article was never approved by or fact-checked with Heritage Auctions before it was sent to the wire service’s customers. While the erroneous estimate was not attributed to an auction house expert or representative, many of SWNS’s media clients naturally assumed the figure had come from Heritage. SWNS admitted its error via email to Heritage Auctions on January 8, 2019, shortly after erroneous stories appeared in prominent media outlets just two days before the coin was set to sell at auction. However, the mistake was not corrected before media outlets published articles around the world. The coin sold for $204,000, well in line with Heritage Auctions’ original estimate of $170,000 to $200,000. It was part of a very successful January 6-16, 2019, series of numismatic auctions by Heritage, which realized over $70 million, well exceeding pre-sale estimates. Heritage Auctions is one of the largest fine art and collectibles auction houses founded in the United States and is also among the world’s largest collectibles auctioneers. Heritage maintains offices in New York, Dallas, Beverly Hills, San Francisco, Chicago, Palm Beach, London, Paris, Geneva, Amsterdam and Hong Kong.